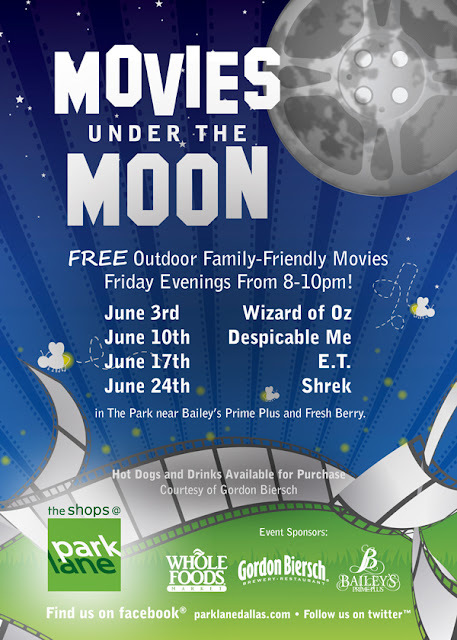 Pack up a picnic, grab a blanket and enjoy the beautiful summer weather at The Shops at Park Lane each Friday evening in June for Movies Under The Moon, a free outdoor movie series featuring your favorite family-friendly films throughout the decades. Get there early, as Whole Foods Market will be providing arts and crafts giveaways for kids before the movie begins. What better way to spend your summer evenings than by enjoying the warm weather with friends, family, food, wine and a great movie outside? Southeast Corner of Park Lane and Central Expressway across from NorthPark Mall.